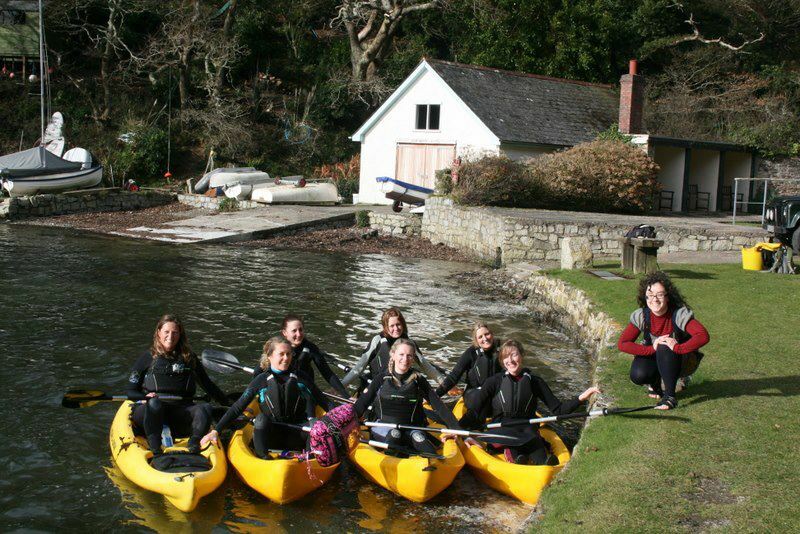 Kayaking in Cornwall with Koru Kayaking is a fun activity activity for Hen Do’s and Stag Do’s. It’s a great of bringing a group of your friends together for a memorable experience. 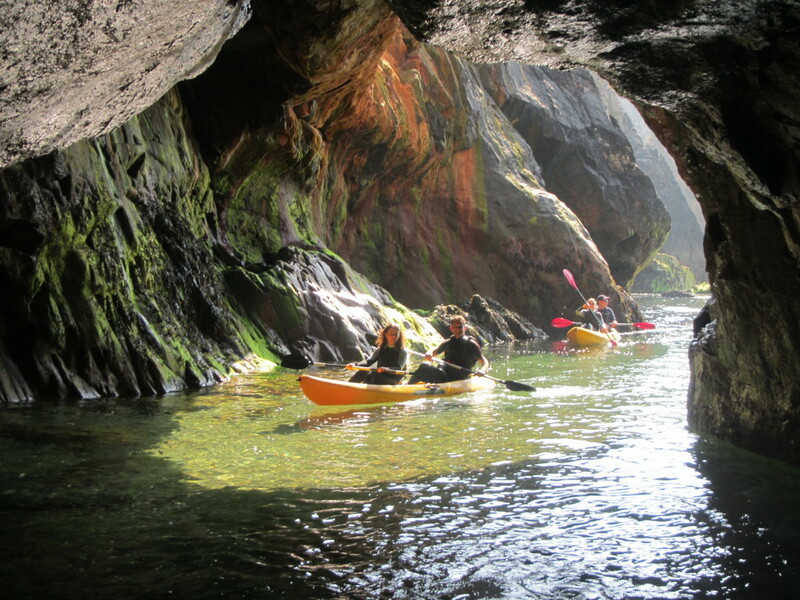 Whether your group like action packed sea kayaking on the North Coast, kayaking through archways, into caves, under waterfalls, mooring up on secluded beaches and there is even the chance to surf a wave in! Frenchmans Creek with herons, egrets and shipwrecks. There’s even the chance to re-enact Kylie Minogue, as Frenchman’s Creek featured in her pop video. 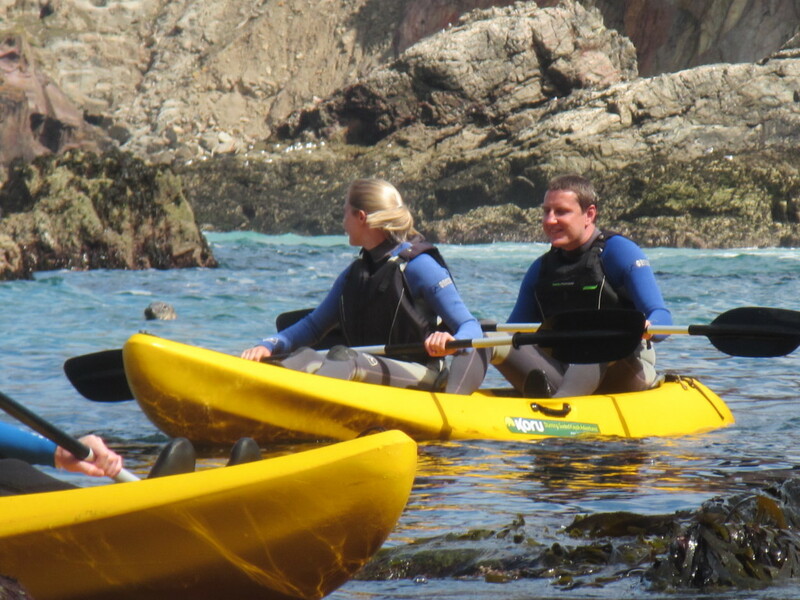 Both kayak adventures make for fun filled, relaxed day out with friends. 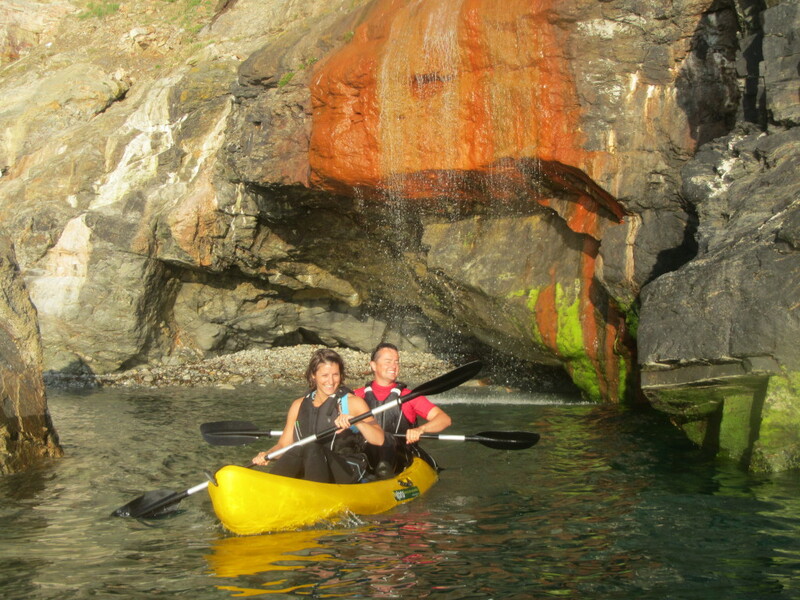 Koru us tandem kayaks, 2 people per kayak, so that you share the experience and also the paddling! No experience is required as all our tours are with an experienced guide. A full briefing is given before every kayak adventure and buoyancy aids are provided. 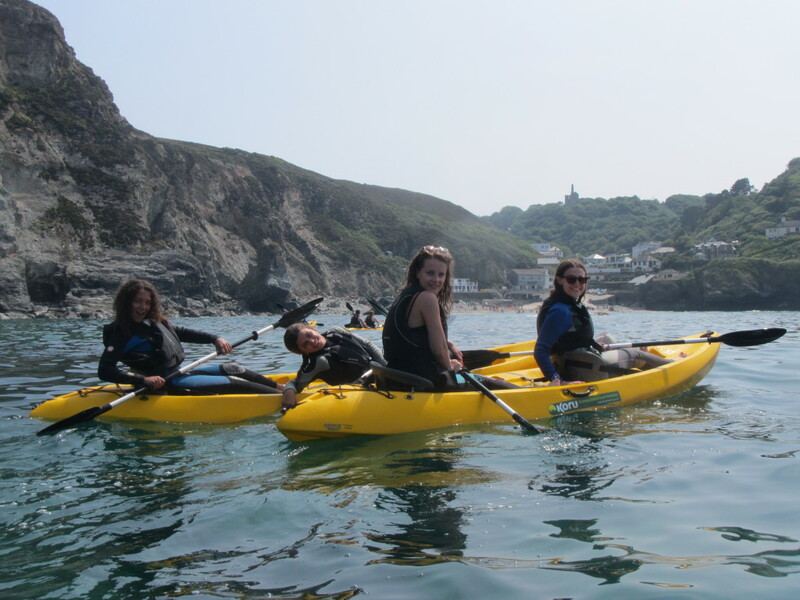 We can take up to 8 people on any adventure and can run multiple adventures over one day allowing a maximum of 24 people a day to enjoy the experience. 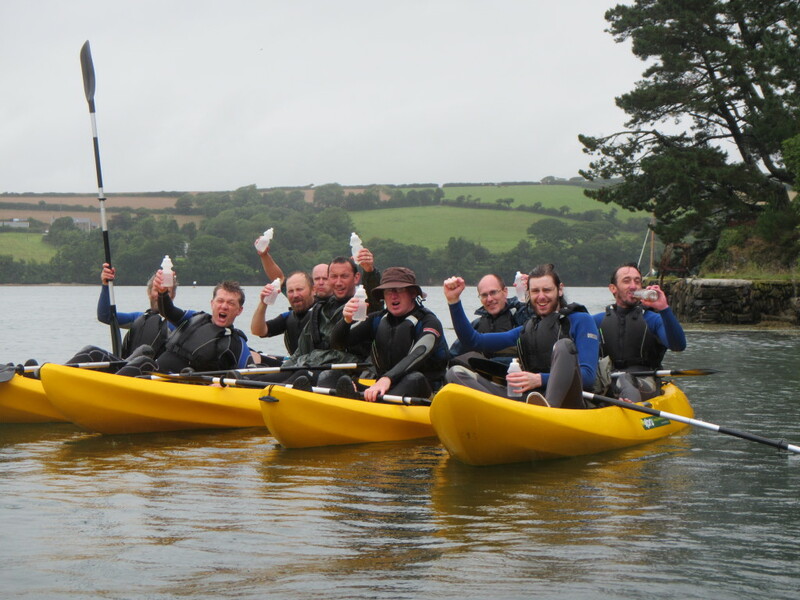 Locals parties from Cornwall and groups from throughout the UK and world have had a great time on the water and all said it was a great way to have a good adventure. 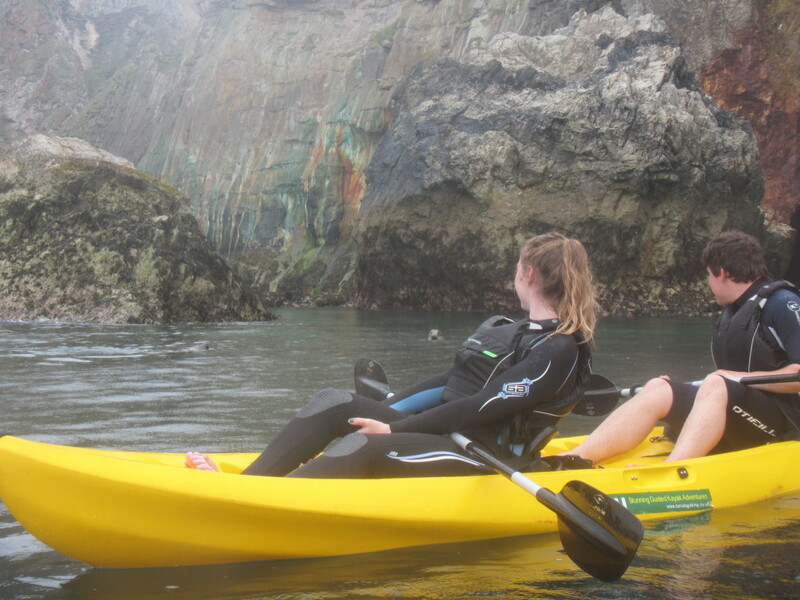 Couples have even added a Koru Kayak Adventure to their wedding list or received vouchers for their wedding present – an really memorable gift as the guides take photos while you are on the kayak adventure and DVD’s of the photos are available for a small fee!